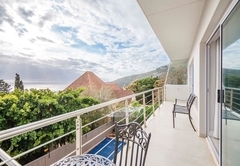 2 Medburn Road is a property providing self catering in Camps Bay for up to 4 guests visiting the Atlantic Seaboard region. 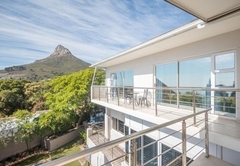 2 Medburn Road is a modern, recently refurbished apartment located on one of Camps Bay’s premier streets. 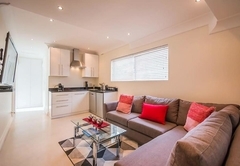 The apartment offers self catering accommodation for four guests. The apartment has two large bedrooms. 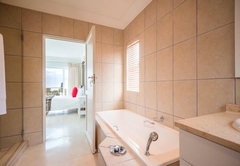 The main is furnished with a super King-size bed and has an en-suite bathroom. The second bedroom has a Queen-size bed which can be converted to two single beds on request. 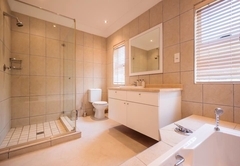 There is a full family bathroom for the second bedroom. 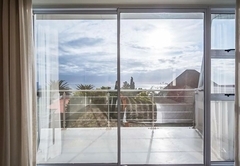 Both bedrooms enjoy spectacular views over the ocean and open onto a wrap around balcony. 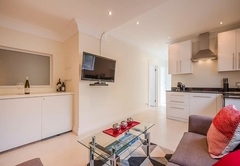 The open plan apartment has a lovely lounge and kitchenette area. 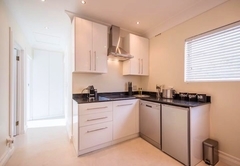 The kitchenette is equipped with an oven, hob, fridge / freezer and a microwave. There are also tea / coffee making facilities. The lounge has a TV with DStv and there is uncapped fibre optic Wi-Fi. Outside there is a balcony. A baby cot is available free of charge (on request) as are sun chairs for you to take down to the nearby Blue Flag beaches. 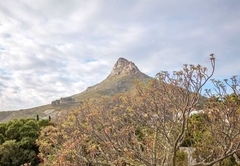 Modern two bed (one en-suite) is in one of Camps Bay's most premier roads. Breathtaking views, fully air-conditioned and with a lovely kitchenette. Response time2 Medburn Road typically responds to requests in 5-10 minutes.